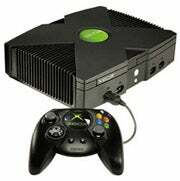 On March 3, Microsoft service repairs for the original Xbox ceases. The same happens for American users on March 2. While service repair ends, other technical support such as documents and content will be available to all customers. "If you have an original Xbox console that is in Warranty that requires a repair," Microsoft stated, "you will be able to submit an exchange request for an upgrade to Xbox 360 online." With the time difference, original Xbox support will actually be ending in both territories at the same time for a few hours.